I first came across this story a couple of years ago and it grabbed my attention straight away. I watched a program on Netflix (sadly it is no longer on there) called Dreams of a Life. And honestly as soon as it started I couldn't stop watching it. It shocked me so much, a woman had been found dead in her flat. She had been dead for nearly 3 years and no one had noticed or reported her missing. I haven't marked this one as a real crime post because apparently there was no evidence of foul play. She had apparently died of natural causes at the age of 38, alone. She was discovered in her flat with Christmas presents around her she was obviously in the middle of wrapping and the TV still turned on. While I was watching it I had so many questions and in this post I am going to be going through some of them. Not much seems to be known about Joyce's later life, although past friends say she was a successful and vivacious young woman. She had boyfriends and socialized often when she was younger, the people that spoke in the film couldn't explain how she had ended up alone and undiscovered in her home for all that time. 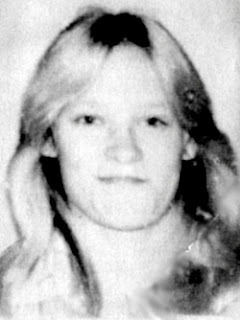 When her body was discovered, in January 2006, it was so decomposed that no cause of death could be found but there didn't seem to be any suspicious circumstances. The most shocking thing for me was how she had been undiscovered for such a long time. Joyce was found with the television still on and was obviously in the middle of wrapping Christmas presents. How was her electricity still on when she obviously hadn't been able to pay bill? If she was wrapping Christmas presents, who were they for? Did the intended recipients not notice she was gone? It seems to be a case of someone just slipping away without anyway noticing a thing. During the documentary I definitely got the feeling that Joyce seemed to flit in and out of peoples lives, so maybe people didn't notice when she wasn't around? According to the program she did have some family but they had seemed to have lost touch. How heartbreaking for the family, whether you have lost touch or don't get along too well, finding out about a family member being found like this must be a terrible thing to go through. Her ex boyfriend, who she was on and off with for a while in the past, seemed genuinely upset about what had happened to Joyce and wondering if he could have helped in some way. Maybe he could, or maybe Joyce was happy with her solitary lifestyle. Although they was no sign of anything suspicious regarding her death, could it be someone else was involved? I don't believe so if I'm honest, during the film there was mention she had ashtma so maybe that played a part? It is sad but not unheard of that people can pass away at any age from natural causes. The shocking part of this story is certainly the amount of time it took to find her, she wasn't in an isolated home. This whole story makes me think, what should you do if you haven't heard from someone for a while? Send a message, ring them up, pay them a visit. It is easy to say with hindsight what should have happened/ But if she hadn't spoken to people for a while and did come in and out of people's lives how were people supposed to think any different this time? I will end by saying once again my main two questions. How was her television and heating still on? And who was she wrapping presents for? This is really sad. I remember reading an article about this story and it made me feel really down. I also wondered how can no one not know. It’s alittle eerie to me how the tv was still on, that’s a mystery. It’s important to check up on people, to see how they are doing. This is such a sad story and like you when I started reading my immediate thought was how her utilities were still on if she hadn’t paid her bills? Also wouldn’t someone have heard her TV on day and night for 3yrs? What an awful story that makes you think about life and a reminder to check in on friends and family and keep in touch. What a sad story! I want to watch that documentary now. I remember hearing about a while back and finding it so strange as well. I know for a fact our own utilities throw a conniption if we are even on the verge of being late so how on earth did hers never notice? It's so sad to think about passing alone like that. I hear about this story ever so often. It always makes me so sad. How did no one notice she was gone? Was she rich and has everything on auto payment? I could be dead about a week or two before someone comes to collect some money. It’s sad how someone can just die and no one know. Poor Joyce. Now I have to watch the movie. This is a very sad, depressing story with a lot of unanswered questions. This story is so interesting yet so heartbreaking. I'm genuinely so confused as to how her electricity was still running. Didn't she have a landlord? Or a neighbour? It's just hard to believe that there was no one who didn't notice that there was a dead body in that house.